Sign up for Broadjam today to follow Marjorie & DC Cardwell, and be notified when they upload new stuff or update their news! Just the instrumental backing tracks! A soulful, Motown style song with Female vocals and a playful beat. A jazzy, gospel-style piano intro and throughout, with guitar, bass and drums as rhythm section. A synth/strings part adds colour and melodic interest. And I don't want to fight any wars in my own name. Everyone's looking for battles to fight. A Kinks-like descending guitar riff leads into this chugging, melodic pop song which has a Beatles-like feel despite the female vocal. Another guitar riff leads into the anthemic chorus. Soaring guitar solos mid-song and in the fade procide contrast. A Birthday Song which is universal & could be sung for anyone's birthday. Poignant and emotional female vocal delivers lyrics which offer hope and forgiveness. Improves self-esteem. Clever, meaningful pun about past, present and future, and birthday present/gift. Ballad built on acoustic guitar and with gently soulful bass, percussion & melodica. Lyrics are reflective in the verses but the choruses are uplifting and encouraging, with a thoughtful and deep message at the conclusion. 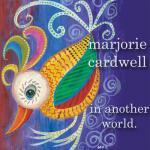 This is Marjorie's cover of her husband DC Cardwell's song. And you'll think of all the bad ones. But didn't quite know how. Here's your birthday present now. An optimistic ballad about love, faith and hope in the face of illness or sadness. This Sweet melody with a delicate female vocal and acoustic guitar. Gentle ukuleles come in from halfway through the first verse. There is an achingly beautiful, wistful, melodic euphonium solo from New Zealand music legend Don McGlashan, preceded by synthesizers imitating the sound of medical equipment. In the last verse the horn and synthesizers play counterpoint melodies to the lead vocal. Marjorie wrote this when she was diagnosed with a brain tumour and was waiting to have surgery. In fact she wrote most of it when she was in the machine getting her pre-op MRI! Despite this, it's a very optimistic song about love, faith and hope. A big ballad about encouragement, support, faith, hope and companionship in the face of loneliness and abandonment. Superb female vocal singing this stately song driven by ukulele and acoustic guitar. Carefully placed synths/synthesizers and glockenspiel add color and bass and drums come in on the second verse. There is a lovely bridge with whispered voices of encouragement in the background. A melodic, ballad with a sweet female singer. Acoustic guitar driven, with gentle bass and drums, electric piano and steel guitar. Glockenspiel and female backing vocals add color. Female vocal with a rootsy, minor-key song accompanied initially by acoustic and electric guitars. Later on a big rhythm section comes in with a New Orleans feel for a rollicking end to the songs. A wild, rock'n'roll, guitar solo with Chuck Berry licks. A Byrds-like jangly electric guitar riff opens the song before drums and bass crash in. A steady acoustic guitar gives the song warmth. A sweet female vocal sings with a pleading quality. The song switches to a more soulful, mildly funky rhythm for the choruses. The guitar solo introduces even more jangle. And see if there's some hope. A minor key French language ballad with a restrained, but impressive female vocal. The title translates as "In Another World". Written in the style of a French Chanson with a slight jazz standard feel. Accompanied by fingerpicked acoustic guitars with some clever, contrapuntal electric guitar and glockenspiel for colour. Solid pop-rock song with sweet but powerful female vocals with lyrics about lying. Jangly electric guitar intro followed by an acoustic first verse. On the chorus a punchy rhythm from bass and crashing drums is introduced, along with some heavier electric guitar riffs. There is a distorted electric guitar solo before the last verse. Classic sounding rock song with female vocals featuring electric guitars, bass and drums with swirling organ and tambourine. Chugging rhythm and lots of electric guitar interplay. 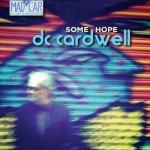 Lyrics about a relationship with suspicion but also hope and reconciliation.